The kids are back in school and summer has come to an end. The Anti-June Cleaver and Our Piece of Earth have teamed up with an amazing group of bloggers to say goodbye to summer and welcome all things pumpkin spice. Once you’ve entered my giveaway, hop around the linky below for a chance to win even more great prizes. Good luck! This giveaway is open to US residents ages 18 and older. Giveaway ends Monday, 9/19/16 at 11:59pm EST. To enter, just use the widget below. 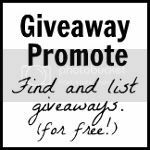 The Anti-June Cleaver, Our Piece of Earth, and the rest of the bloggers participating in the Say Goodbye to Summer giveaway hop are not responsible for sponsors who do not fulfill prize obligations. I am going to be missing the nice long sunshine throughout the summer days. I will miss the long days with all the beautiful sun! I will miss spending time in my sister’s pool and having cook outs. The extra time with my son. Even though I work full time I still get more time with him when he is out of school because he gets to stay up later. And of course the warmer weather too! I will miss going to the beach and getting color. I will miss being out on the lake swimming. I will miss the beach. I will miss spending most of the day with my grandson. He’s off to kindergarten. I will miss the warm weather. I will miss swimming in our friend’s pool! I’m going to miss the chances to take a vacation, the outdoor concerts are great too, they stop once it gets cold. I’ll miss the longer hours of daylight. I will miss spending time with my family! I hate the daylight savings time change. When it’s not summer it’s getting dark at 5pm. Once the first week in October comes, I’ll miss having our pool open! I will miss having such fun times with my children. I will miss going to the beach and the pool swimming with the kids. The sun and the beach. The sunburns not so much. I will miss swimming in our pool with our grandkids. Having my children with me more often. 🙂 Thank you. I will miss going to the beach and the warm weather. I would miss wearing shorts and Tanktops! The heat!! Hate being cold! I will miss all the family gatherings for all the summer birthday celebrations. Long summer days and nice sunsets. I will miss the warmth. While I love fall, I miss swimming. I will miss being able to sleep in! I will miss the greenery of the trees and flowers. I will miss seeing my granddaughters. They went back to school.